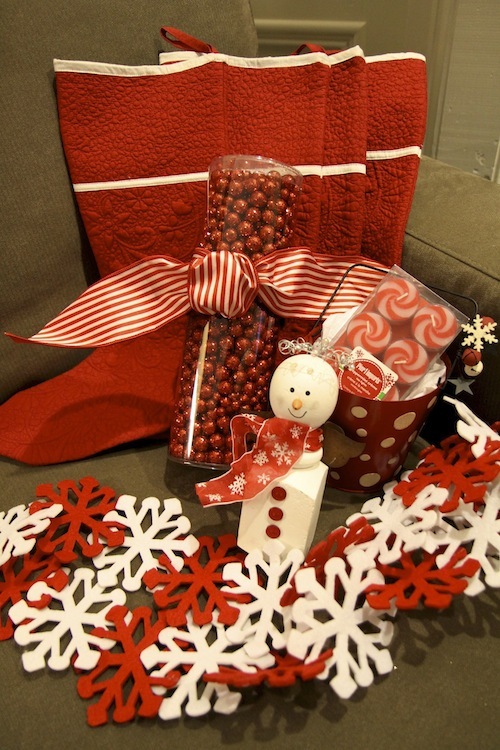 A red and white Christmas giveaway and fabulous teacher gifts! Wow, I don’t know about you, but I’m up to my ears in school parties, teacher gifts and the last few Christmas details. Today, I’m heading out to the Christmas parties for both of my girls and then there’s only 1 more day before they are out of school for 2 weeks. I’m really looking forward to hanging out with them and not running around like crazy people every day. But, back to the to do list. Last night, I finished up my teacher gifts which were inspired by this post by Pam. Here’s how my Ikea lanterns turned out. This was such a great deal. 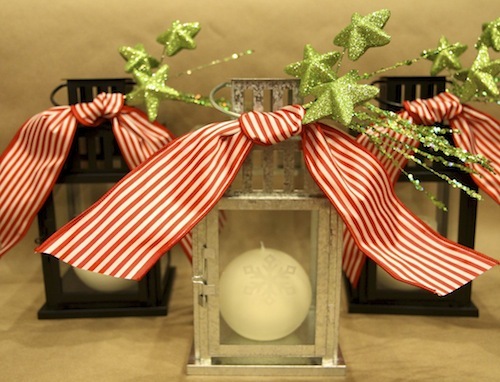 The lanterns were $8, the etching was $5, the candle was $2 and the decoration was $1. ( I owned the ribbon.) How’s that for $16 per gift? I love how they turned out. Here’s a closeup of the etching. I think this really added a lot to the overall look. In the South, we like to monogram everything! Now, on to my other project, you can see that there’s a color theme going on with this post. 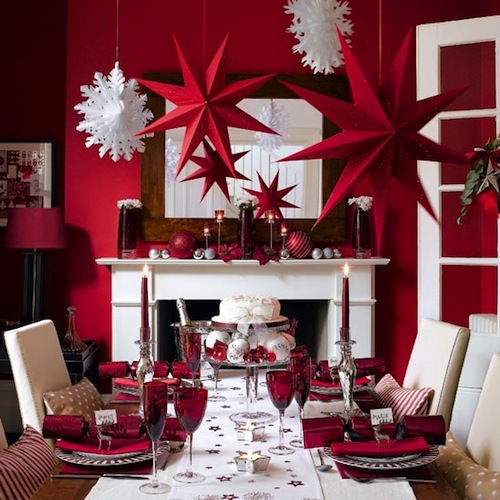 I seem to be drawn to red and white this year. You’ll see a lot of it in my kitchen when I give you a tour of my home on Friday. But today, we’re talking about you. It’s giveaway time! 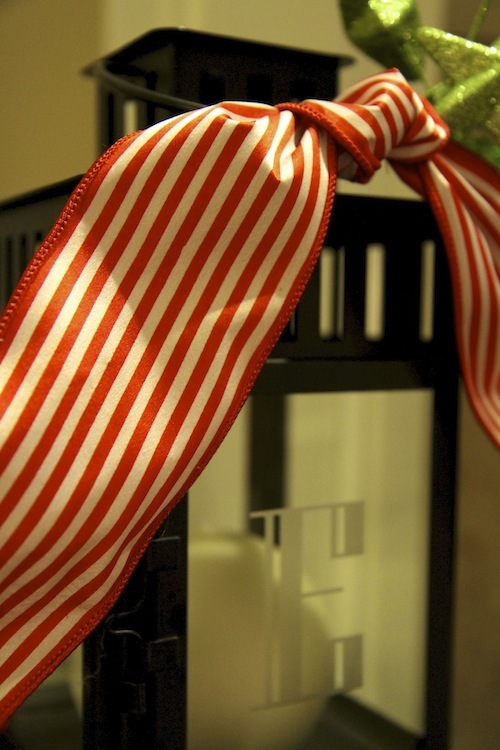 I took my love of red and white and put together a collection of Christmas goodies just for you. There’s a set of 4 stockings from Ballard Designs, 1 yd of ribbon, a 5ft snowflake garland, a dotted metal bucket, set/6 peppermint scented tea lights, sparkly bowl filler and the cutest snowman angel you’ve ever seen. I wanted each of you to know how thankful I am for your support. The blog has taken a back seat to my design business lately, but you are always there for me with your kind comments. And for those of you who don’t comment, no worries, I’m just glad you’re here. So, this is for you! All you have to do to enter the giveaway is follow my blog and comment on this post. You can get another entry by posting about this on your Facebook page and twitter and then come back over and post another comment, so I know you did it! The giveaway will end 1 week from today on 12/28. I’ll announce the winner on Friday, 12/30. You all mean the world to me. I wish you a wonderful holiday with your family and friends. Take care and see you on Friday for a tour of the Christmas touches in my home! I’m linking up to Wow us Wednesday’s at Savvy Southern Style!